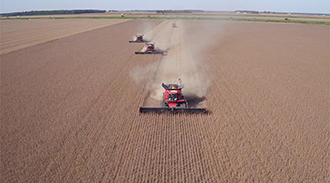 Consisting of corn, soybeans, and wheat in 4 counties in Southern Illinois, Rubenacker Farms works with local farmers to improve the area we live in. Empowering our employees to develop and grow, providing dedication and service to our landowners and partners, while improving the quality of life for everyone. Growing corn, soft red winter wheat, soybean seed and commercial soybeans in four Southern Illinois counties. 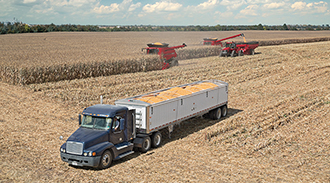 We specialize in hauling grain, lime, fertilizer, rock, seed, equipment, and more. If you need help with heavy duty transportation, contact us today. 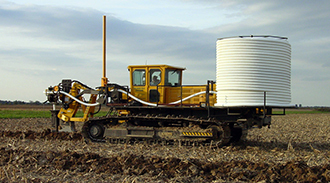 Prairie Tile Systems specializes in drainage tile installation, levee and waterway repair, excavation. If you need help moving dirt, we can help! To a farmer, it's potential.